Today I am very excited to share a tutorial with you! I loved the athletic capris that I made last month and decided I wanted another pair, but with a cell phone pocket. My husband always says that ladies’ pants pockets are useless so he has no problem carrying my phone when we’re out and about. 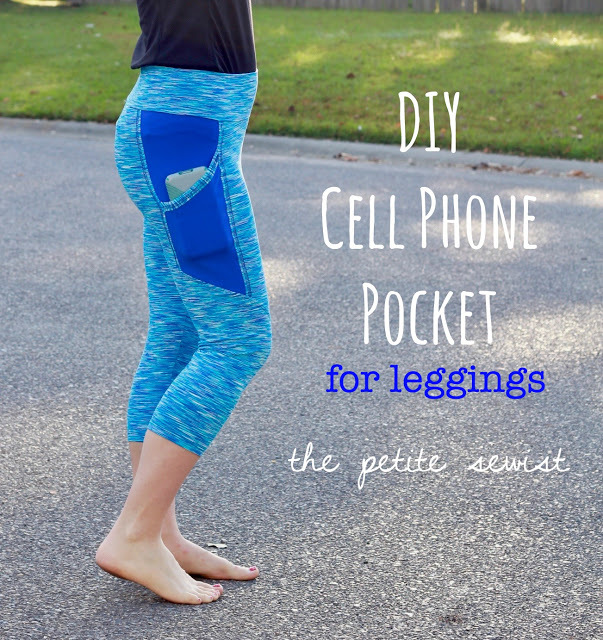 Well, this pocket is big enough to carry your big smart phone and probably your lip gloss, too! For reference, I have a Samsung Galaxy S5. 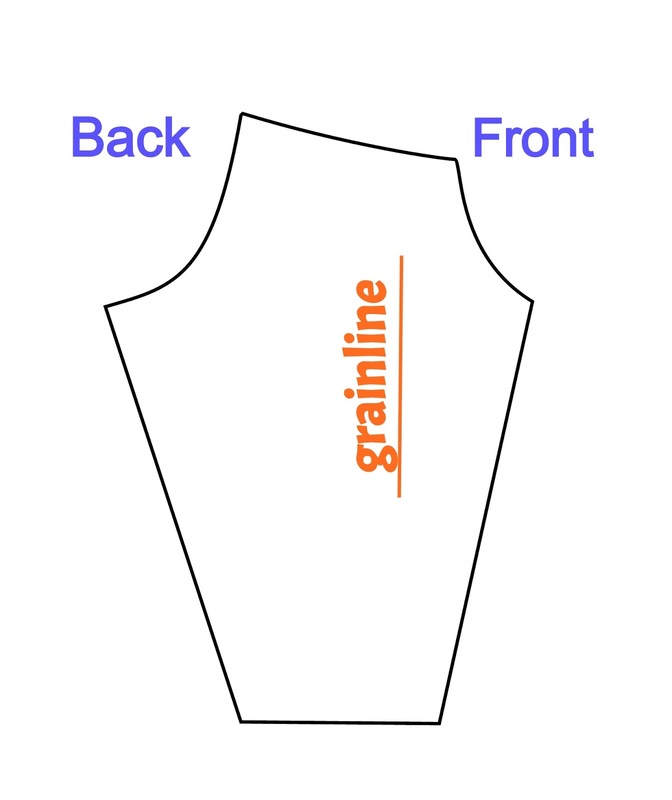 For this tutorial, you will need your pattern. I have used Peg Legs by Patterns for Pirates. 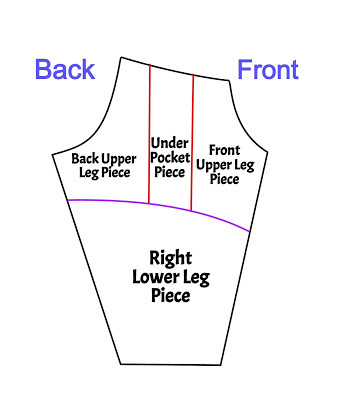 You can use another pattern if you wish as long as it has one whole piece for the left leg and one for the right. The waistband is separate. When I am pattern drafting, I don’t draw directly on my nice pretty pattern. I trace my pattern first and then I can mark it up as much as I want. Now, draw a line 2″ to the left and 2″ to the right, parallel to the grey line. These red lines represent the sides of your pockets. (The grey line can now be removed.) My pocket is 4″ wide. (I thought it was 1/4″ too wide so you may want to make yours slightly smaller, especially if you have an IPhone.) Now, we will draw a line bisecting the red lines to define the bottom of the pocket. These are 4 of the new pattern pieces for the right leg. 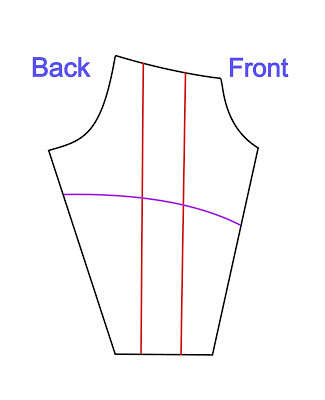 Lay tracing paper over the top of this pattern and trace each piece, leaving space in between because YOU WILL NEED TO ADD YOUR SEAM ALLOWANCES. The black lines represent the old pattern, so obviously don’t add seam allowances to those sides. 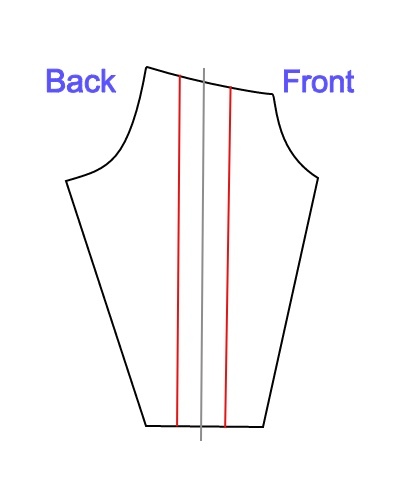 Any sides that are red or purple will need seam allowances added. Not sure how much to add? 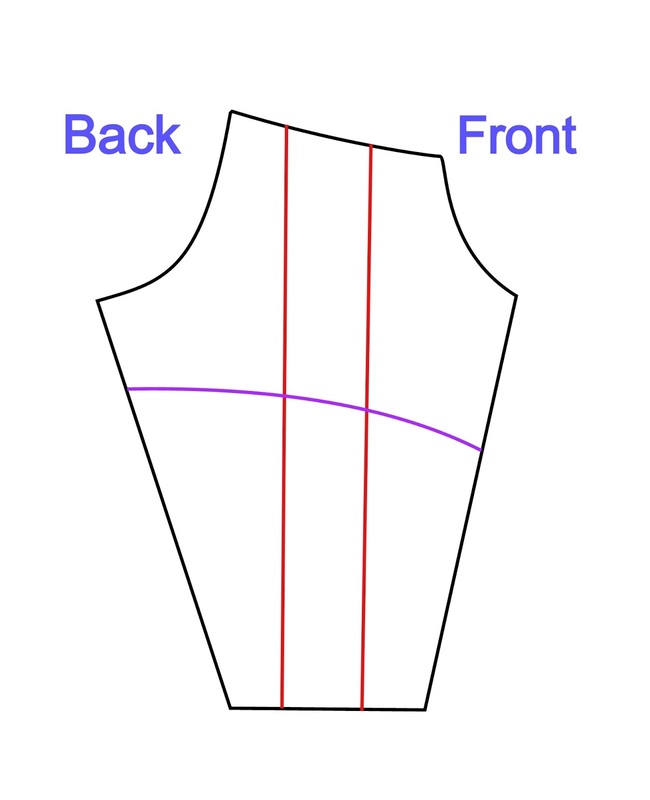 Check your pattern for the seam allowance used and add the same seam allowance for your new pattern pieces. 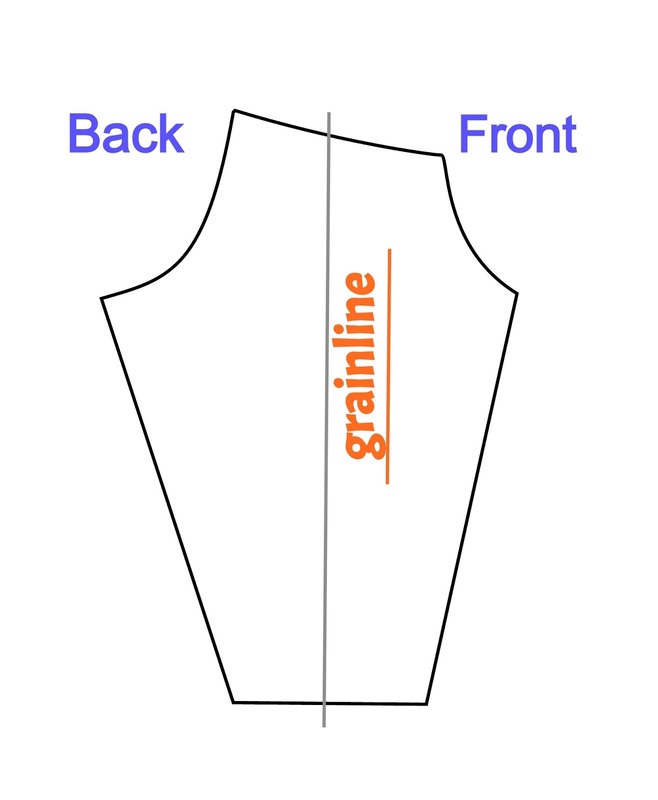 I like 3/8″ seam allowances but for this project, I highly recommend using 1/2″ seam allowances. 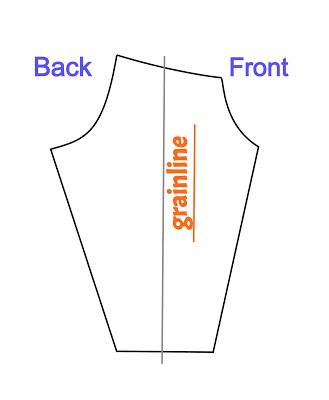 It makes coverstitching/topstitching the seams much easier. 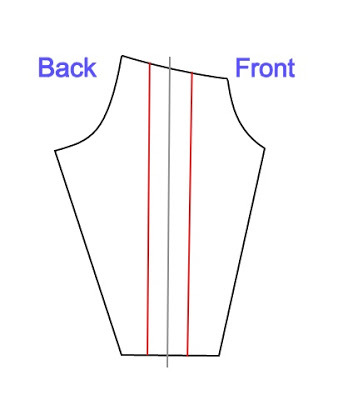 Now, draw a line to define the top edge of your pocket. Where you choose to draw your green and purple lines is up to you. 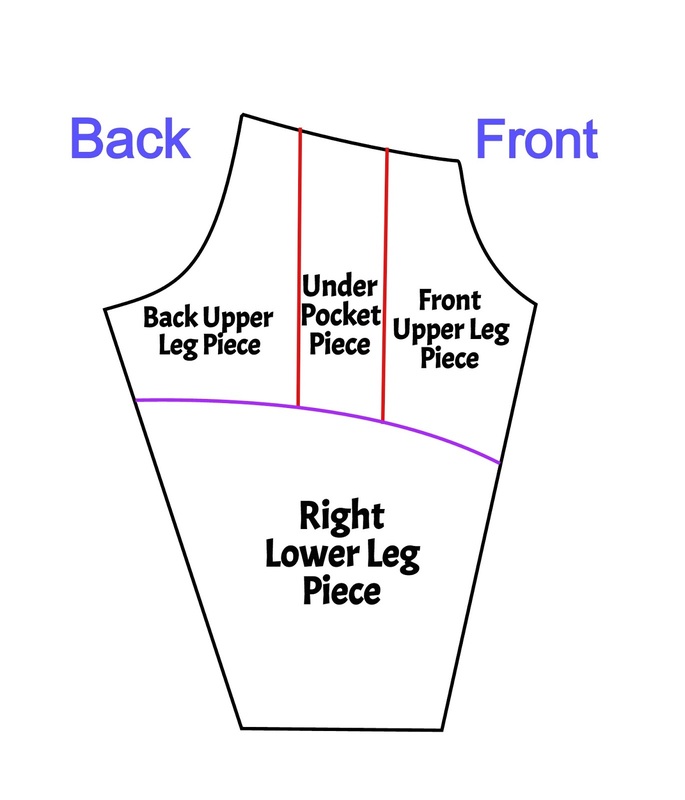 The purple line I drew was about 11″ from the top of the leg pattern piece. The top of the pocket piece on the right side (the point where the green line touches the right red line) was 2 1/2″ from the top of the leg pattern piece. You will also need to cut out the pocket band (goes over the top edge of the pocket). 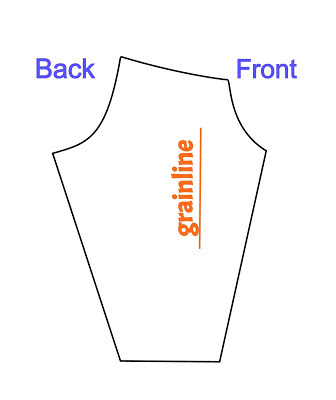 This is a rectangle 1.25″ x 7″.Pat yourself on the back, you are now a pattern drafter! 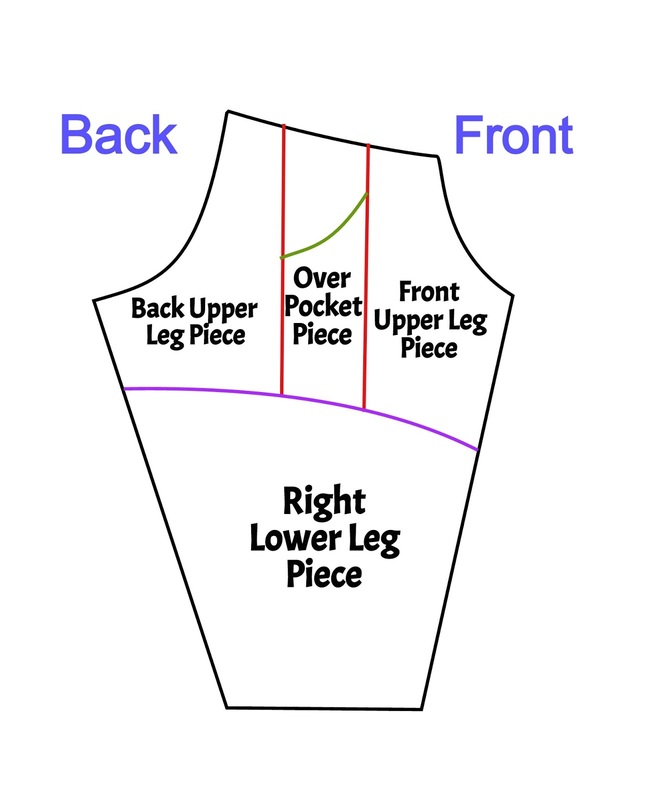 In the next part of the tutorial, I will share how to assemble your pattern pieces. Thanks, Abbey, I had fun dreaming it up! This is a great Hack! Can't wait to shoe my firends! I'm getting ready to trace my pattern now. The one question I have is whether this will work with DBP. Do you think it will hold up to the weight of a phone? I have the Note 5, so I would be drafting a larger pocket. Karen, I’m not sure if it will or not. 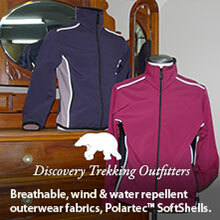 A lot of DBP I’ve seen has less than 5% lycra and that may affect the recovery of the fabric. Were you able to make it work?